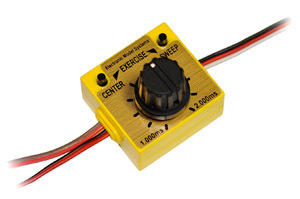 Use with analog and digital servos or ESC's without Tx. Compatible with Airtronics, Futaba, JR, Hitec and Specktrum radios. 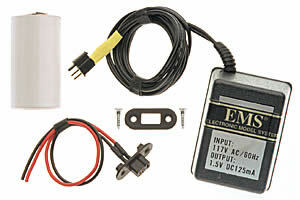 Use a 4 or 5 cell battery pack or power from your receiver. 4 modes (Manual, Center, Sweep , and Exercise). Easy to use. 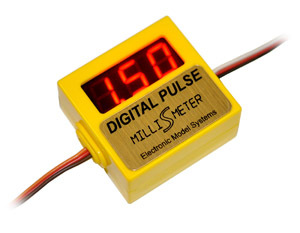 Digital display of servo channel pulse width in milli-seconds. Accurate to two decimal places. Use with Airtronics, Futaba, Hitec, JR and Spektrum radios. Use to set up channel centers, travel pulse width, etc. Great to pair with our Servo Driver. 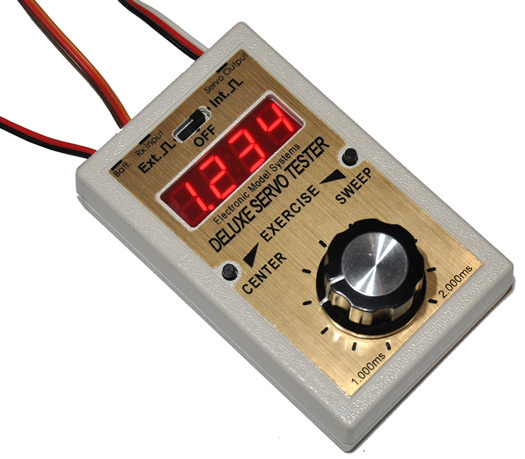 The Deluxe Servo Tester combines the function of the Milli-S Pulse Meter and the Servo Driver/Tester in one precision instrument wuith unparalleled 4 digit display. Gear servo and door servo travel time individually adjustable from full speed to 10 seconds. Gear doors may remain open ala P-47 or close after lowering gear ala P-51. Solid-state replacement for a servo and switch! Adjustable ON point, reversing switch, and LED indicator. Use as “old timer” ignition cut-off, GLO driver switch. 1.5 x 1.5 x .75 - weight .5 ounce! Switch up to 24 volts, 20 amps! An opto-isolated glow driver switch using a high performance MOSFET. The ON point is easily adjustable by the user with only a small screwdriver. Size 1.5 x 1.5 x .75. Less than 1 ounce. User supplies own NICAD battery. Same as Glow Driver. Twin engine/twin cylinder version. The Glow Driver is a specialized version of the Jomar Products now famous Optically Isolated Electronic Switch. This accessory kit contains a single 1800 MAH sub-C Nicad cell, a Deans charge jack with fuselage side mount and a special single cell wall charger with matching Deans charge connector for overnight charging.